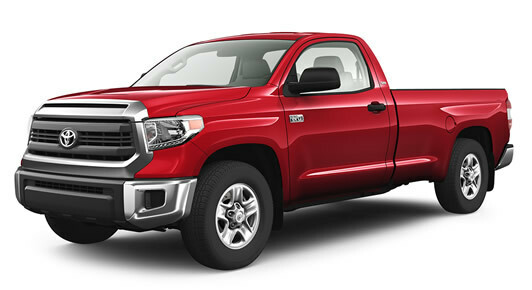 Toyota has a long and proud history of building trucks you can depend on and over the past 15 years the Tundra has been a definite highlight. While this year’s Tundra has a similar look and feel to the 2015 model, rest assured, there are plenty of impressive upgrades. Let’s take a look at what all the fuss is about. The new Tundra has power to burn and comes in a choice of two beefy engines. The 4.6 litre V8 generates a mighty 310 horsepower and 327 lb/ft. of torque, while the 5.7 litre V8 commands a monstrous 381 horsepower and 401 lb/ft. of torque, the largest displacement of any Toyota engine ever. The 5.7 litre models also come with a massive 38 gallon fuel tank, so you won’t have to plan those pit stops quite so carefully. One of the highlights of the new Tundra is its integrated trailer braking controller, which makes it easy for even novice drivers to handle heavy and awkward tows. With a towing capacity of 10,500 lbs. you can tow just about anything and the transmission cooler system will keep your engine temperature under control. Those who tow regularly will love the Tow/Haul mode that comes standard in all 5.7 litre models, offering enhanced control and handling when moving those particularly heavy loads. While few will be surprised by the Tundra’s power, its level of style and sophistication is sure to turn plenty of heads. The exterior boasts a wide stance, a muscular build and is available in a range of stylish colours, while the interior features a spacious cab with ample legroom front and back. Every new Tundra comes with a high tech Entune infotainment system and the available upgrades include larger touchscreens, satellite radio, dual-climate control and a power adjustable driver’s seat with thigh support. The 2016 Tundra comes with a wealth of safety features and has performed impressively on a range of government and industry safety tests. The following are just some of the many highlights. The Tundra is available in 10 models and 22 unique configurations, each with its own impressive features. The choice of Regular, Double and Crew Max cab size ensures that you will have plenty of room for your crew regardless of how large it is, and a range of interior, exterior and off-road features guarantees that you will always have the style, comfort and support you need. The 2016 Tundra is easily one of the most impressive trucks in its class, so if you want a truck that can do just about anything come and meet your new favourite vehicle. To take a closer look, give us a call, contact us online or drop by in person. 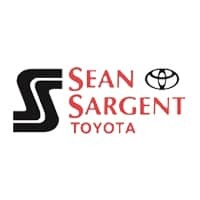 Rest assured Sargent Toyota we will have your perfect Tundra right here waiting for you.